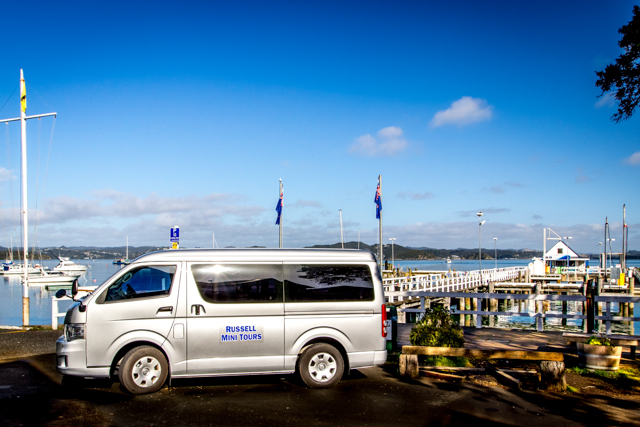 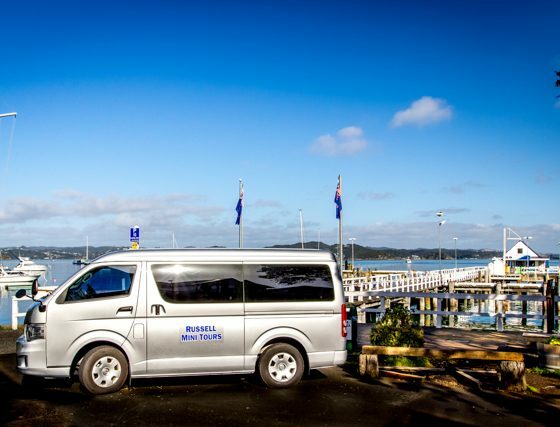 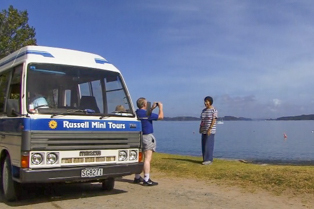 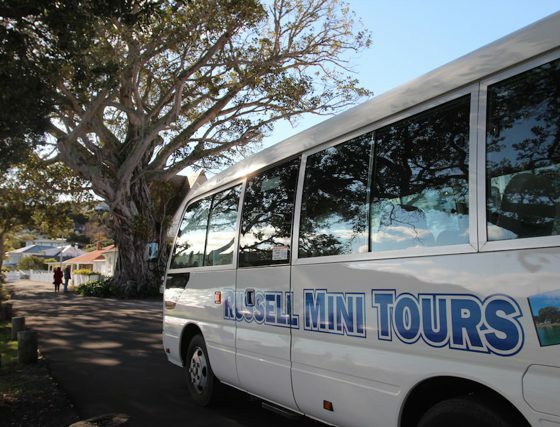 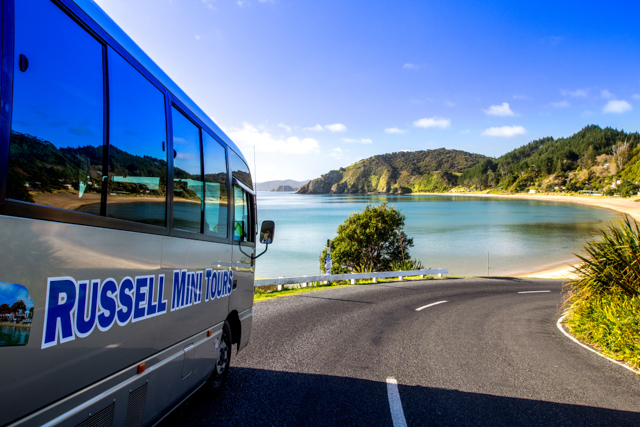 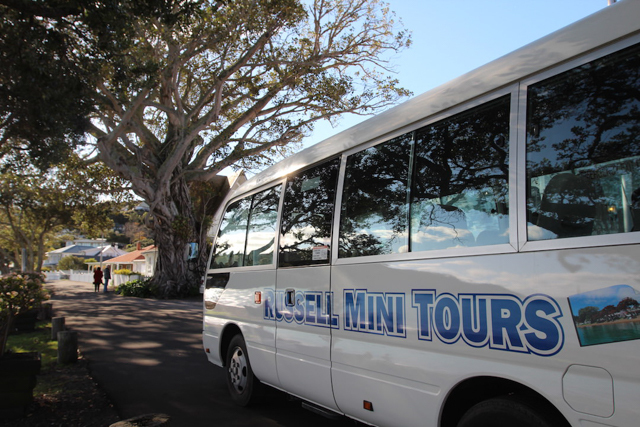 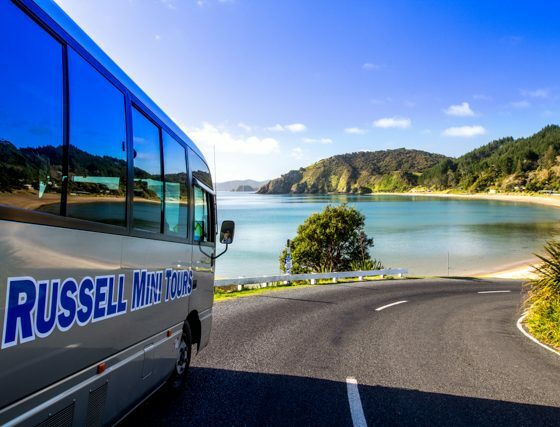 Join Russell Mini Tours to explore the idyllic historic seaside village of Russell. 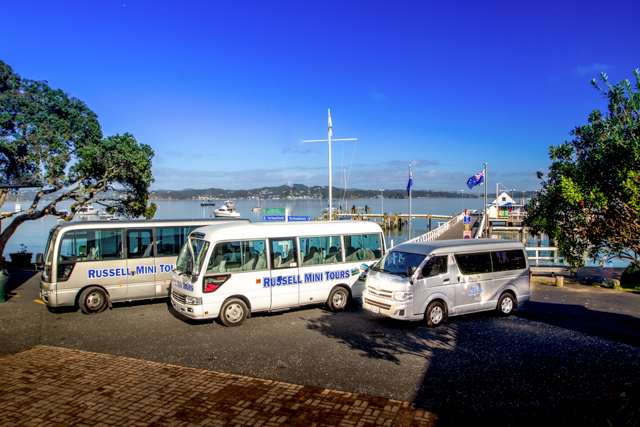 Steeped in history Russell was the country’s first sea port for merchant traders, the first settlement for the early European arrivals and nearby ‘Okiato’ was New Zealand’s first national capital. 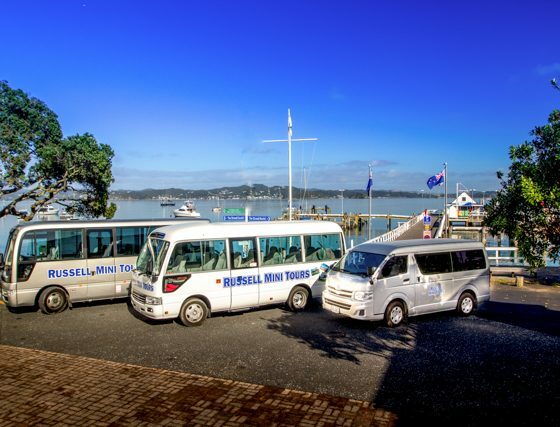 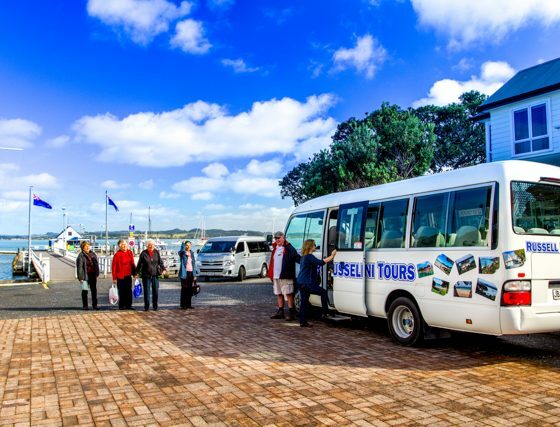 Your tour starts at the Russell Wharf and you will be treated to a personal insight into New Zealand’s earliest history visiting areas of historical interest which cannot be easily covered on foot. 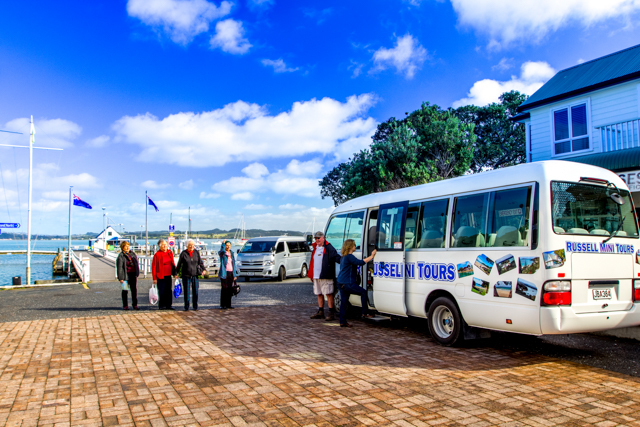 ….. all in a memorable one hour tour. 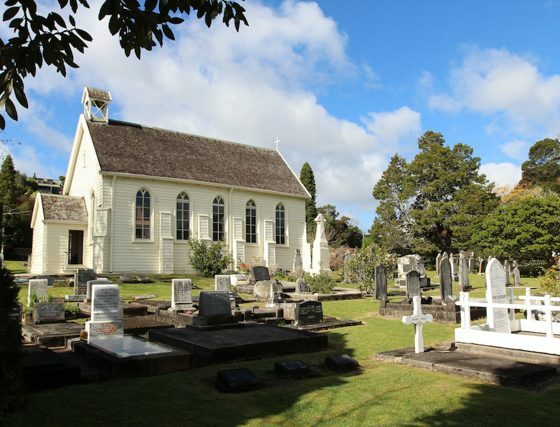 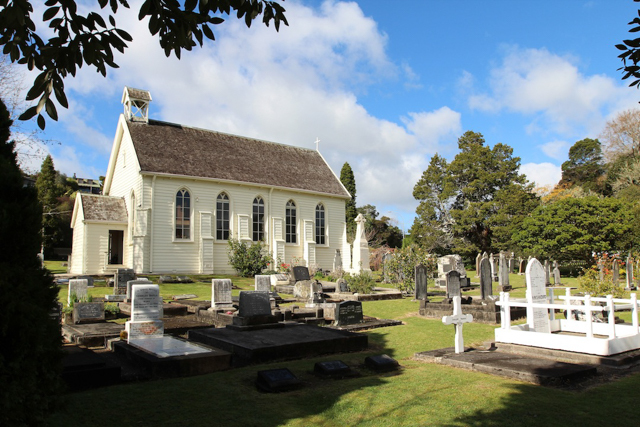 Our tour provides an informative commentary as we pass points of interest ‘Pompallier House’ and ‘Christ Church’ New Zealand’s oldest existing church, stopping briefly for photo opportunities along the way. 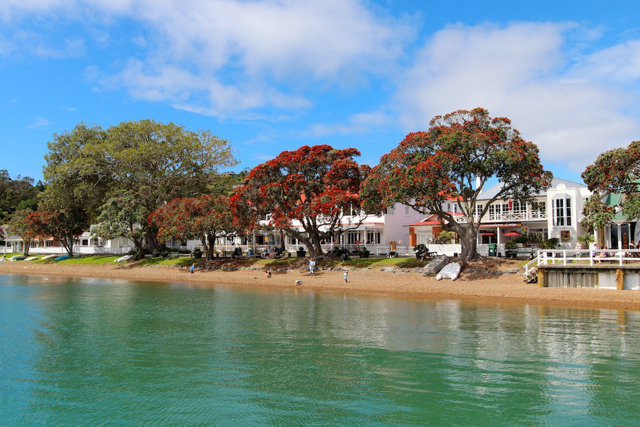 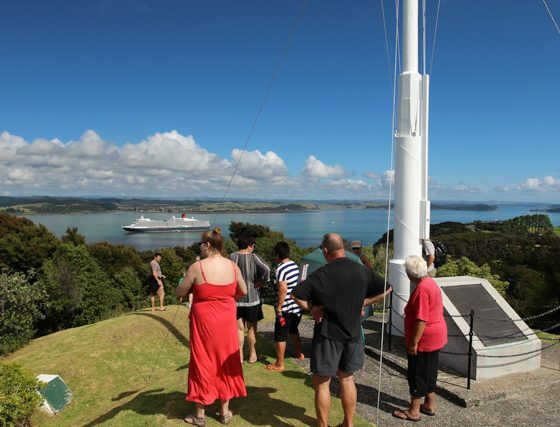 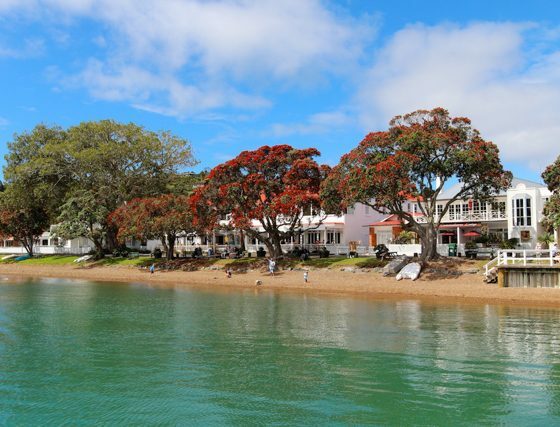 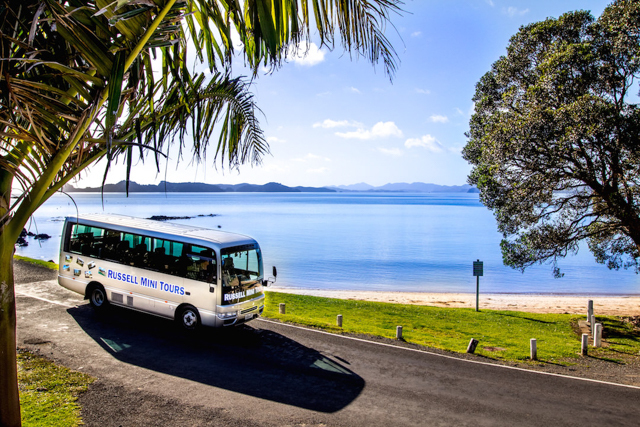 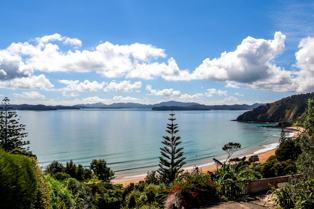 We drive up to Flagstaff Hill one of the best vantage points in the Bay of Islands, offering 360 degree panoramas taking in views of Russell, Opua, Paihia, the Waitangi Treaty Grounds and the islands of the Bay of Islands. 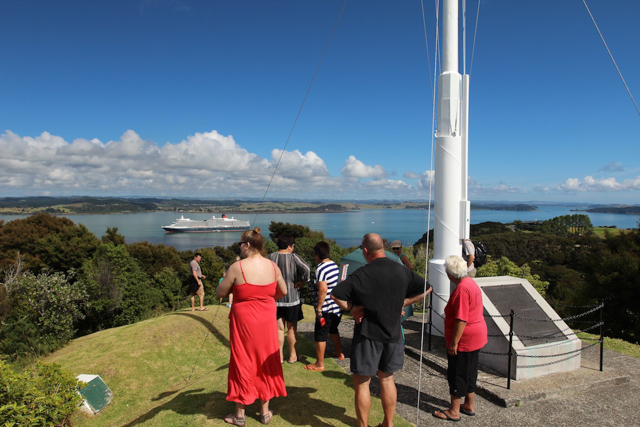 On the lower look-out is a large sundial with a colourful mosaic tile base with views looking down over Russell. 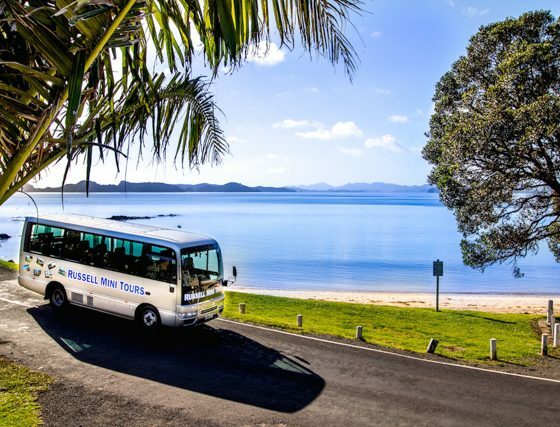 The tour takes in other vistas such as ‘Tapeka Point’ shaded by 1830’s Norfolk Pine trees, other stops are ‘Queens View’ and the golden sandy beach of Long Beach.